ClippaPlate® is a patented underfloor heating solution that’s completely unique to Nu-Heat. Developed by our Product Development Team, it offers a safe and simple way to install underfloor heating (UFH) on a first floor. ClippaPlate® is an aluminium heat spreader plate that holds the UFH tube flush against the floor deck, either between or on top of joists. 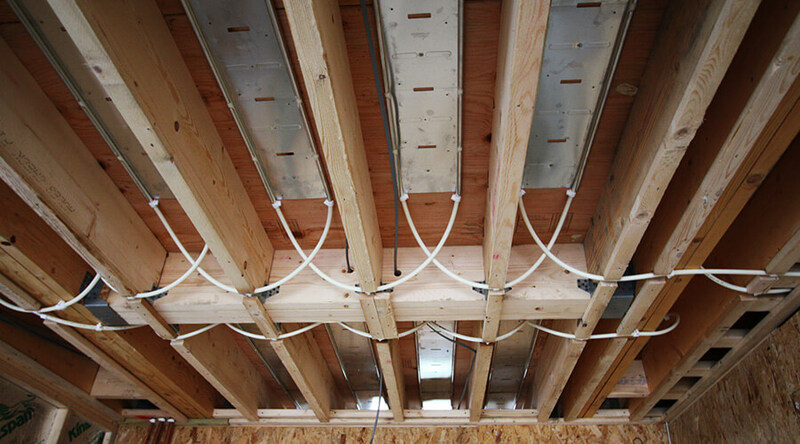 Highly conductive, it rapidly transfers heat through the floor deck into the room above, efficiently and effectively. 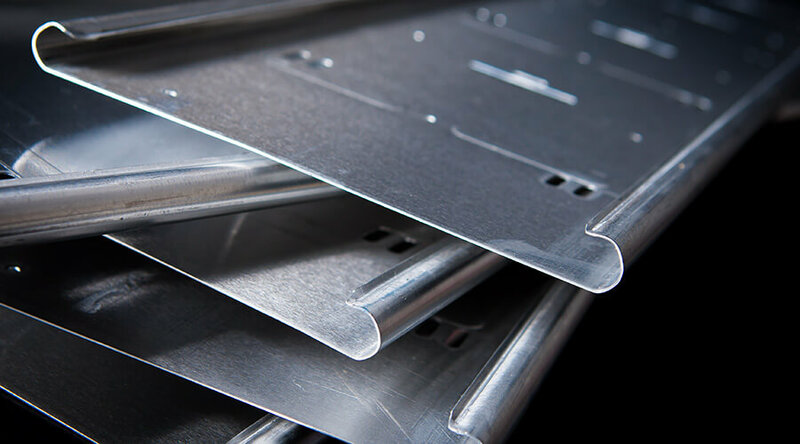 The plates are exceptionally light and offer a good heat output and response time. ClippaPlate® is a flexible solution that can be installed in suspended timber floors from either above, before the deck is laid, or from below, after the deck has been laid. The plates can be stapled with a hand staple gun for a quick installation. Each panel of ClippaPlate® includes two ‘break’ points, making it easy to snap to size. Once fitted, the UFH tube is fed through pre-notched or drilled joists and is pushed into the side edges of the ClippaPlate®, where it is held securely in place. Give us a call on 01404 540650.